Calming the storm. 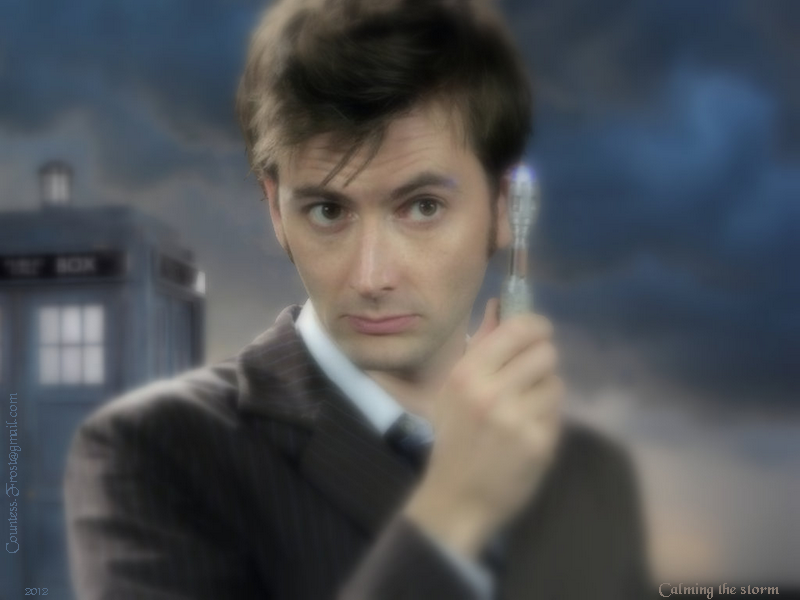 Calming the storm - featuring the Tenth Doctor (David Tennant), here's a Doctor Who achtergrond created door TheCountess. 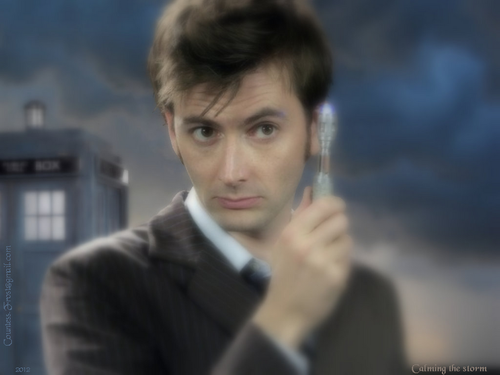 HD Wallpaper and background images in the Doctor Who club tagged: doctor who tv show the tenth doctor david tennant time lord tardis sonic screwdriver fan art wallpaper thecountess. This Doctor Who wallpaper might contain pak, goed gekleed persoon, pak, broek pak, broekpak, kostuum broek, portret, headshot, and close-up.